From Siberia, Seraphinite, with its warm green and silver sheen, is also known as "Angel Wing". It has to be cut perfectly to show off the lovely silvery 'brushstrokes'. 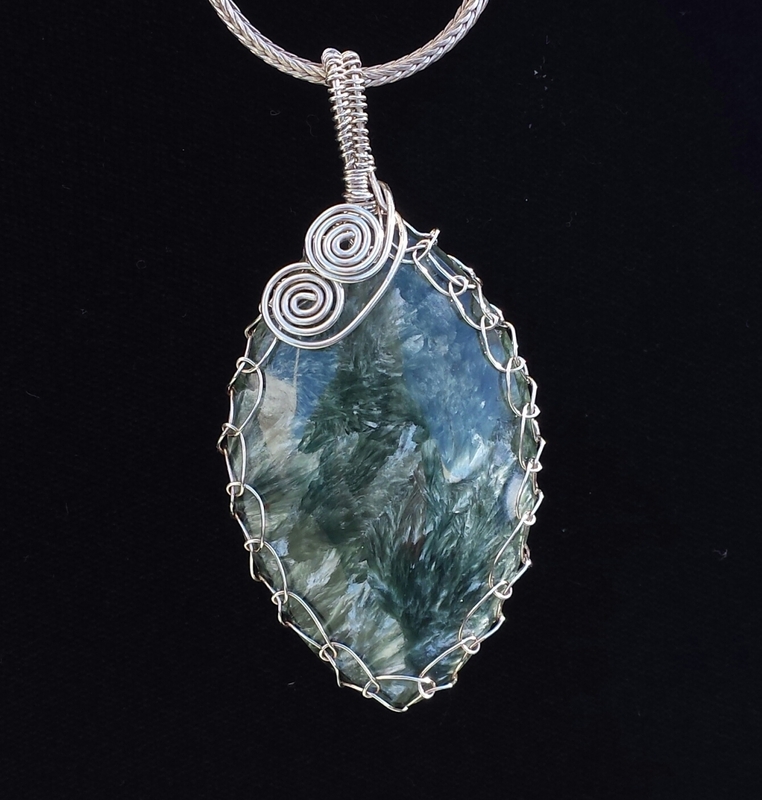 It is wire wrapped in sterling silver in a delicate-looking net to show off all the exquisite stone. A pair of sweeping coils trail from the bail. Silver foxtail necklace included. Metaphysical: Seraphinite is known as a wonderful healingstone. Even just having it nearby can be extremely positive. In addition to it's nickname "Angel Wing" chlorite, it may help open communication with angelic realms. This necklace will come in a gift box--ready to give as a gift or keep for yourself and use for storage. Handcrafted in my smoke-free home studio.